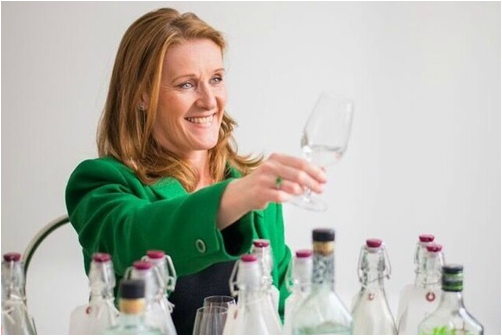 Bloom Gin is the creation of G&J Distillers' Head Distiller, Joanne Moore. The name 'Bloom' is in recognition of the gin's floral nature (with botanicals including honeysuckle and chamomile) and it's inspiration from the 'English Country Garden'. Bloom Gin is now available in pre-mixed bottles with Fentiman's Tonic Water. Joanne Moore and G&J Distillers are also the producers of other popular gins including Opihr Gin, Berkeley Square Gin and Greenall's Gin. Adnams Copper House Gin and Pothecary Gin have very floral notes, whilst Anno Gin and Da Mhile Botanical Gin also feature British plants and flowers as botanicals. "Typically I take inspiration from what’s around me, whether that’s travel or other food and drink categories."